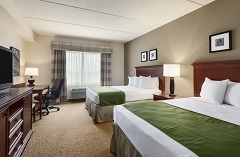 Welcome to the Country Inn & Suites® by Radisson, Buffalo South I-90, NY! Guests staying with us for two or more nights will receive a special rate. This rate is available for stays from February 1, 2018 to December 31, 2019. This offer may not be combined with any other promotions or discounts.